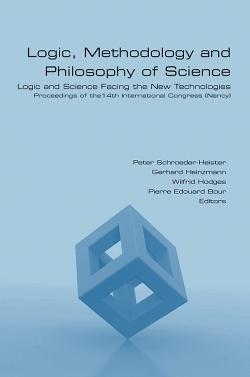 The 14th International Congress of Logic, Methodology and Philosophy of Science was held on July 19 - 26, 2011 in Nancy, the historic capital of Lorraine and the birthplace of Henri Poincaré. For the first time in LMPS history, the Nancy congress had a special topic: Logic and Science Facing the New Technologies. These Proceedings include state of the art discussions by leading scholars. Besides plenary talks, they contain many of the invited papers from the four sections: Logic, General Philosophy of Science, Methodological and Philosophical Issues of Particular Sciences, and Methodological and Philosophical Issues in Technology. Further papers result from colloquia on quantum information, on the notion of algorithm and on mathematics in relation to the new technologies.